Max. the speed is 42 km / h.
The volume of the fuel tank is 270 liters. 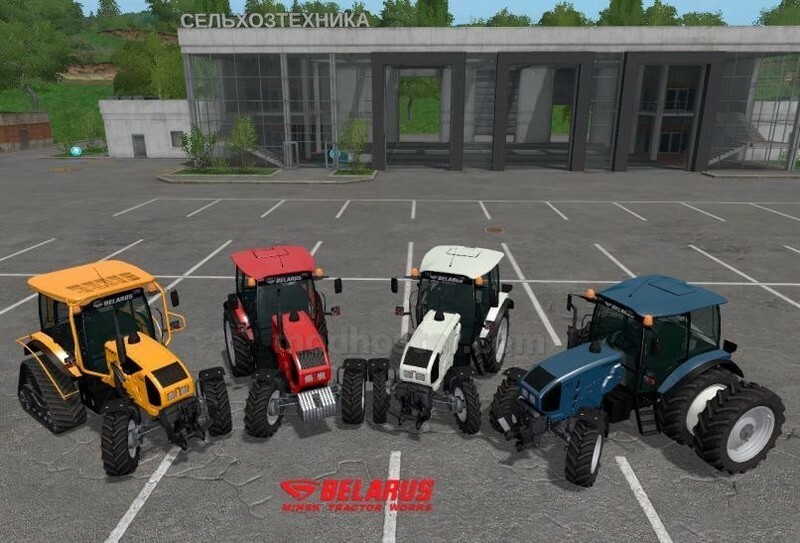 At purchase there is a possibility of a choice of wheels (the standard, back dual, back tracks and all narrow), fastenings under a front loader, as it is possible to choose color of a tractor - four colors. 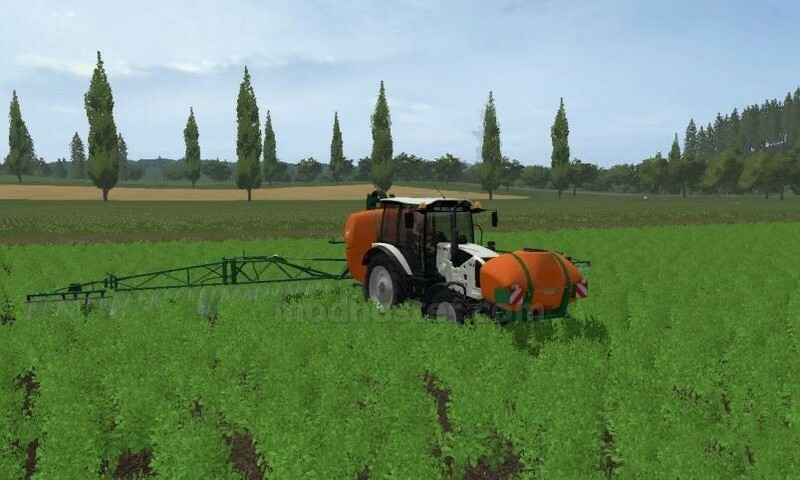 The tractor has a connection of dynamic hoses, a choice of design (standard for the forest), noise insulation, working mirrors, lighting equipment and a fitting. In the fashion there is IC (allows you to interact with windows, doors, hatch, sun visor and side shields) and the animation of the planting / disembarking of the machine operator. The tractor is dirty and washed. It would seem that you can still wish for this mod ??? 1. Voice of the mod ..., how would it be softer to express ..., well, in general, I "did not sound") - apparently what were the sounds at hand and voiced. 2. The rear hitch was also problematic - when the plow was lowered, the vertical adjusting rods from the top linkage levers to the lower levers were swapped with each other. 3. Even when the plow was lowered, it was noted the transverse rocking of the tractor in the area of ? ?the rear axle, as if standing on a stump - the problem was in the "pumped" wheels. 4. Well, the traces left by tractor did not correspond to the width of the wheels. 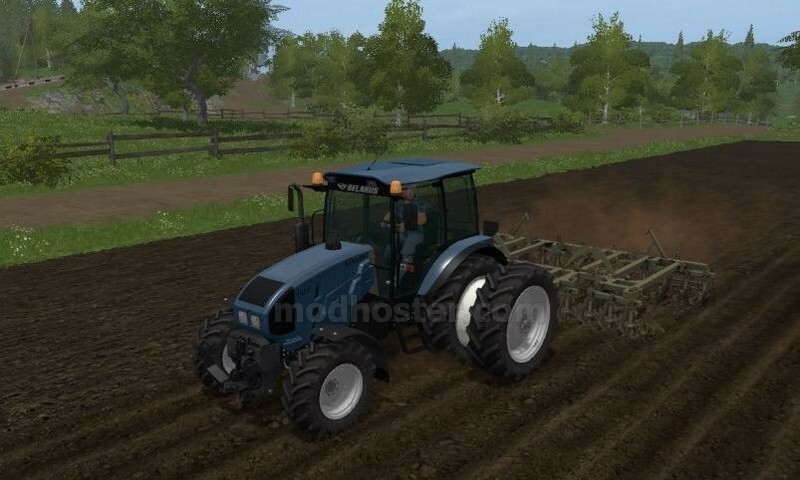 - New sounds have been modified and added, the elasticity of the wheels has been changed to acceptable and the discrepancy of the width of the tracks relative to the wheels has been corrected, the category for the store has also been changed to the general category "Tractors". I hope the changes made will make the mod of this tractor more enjoyable in the gameplay.